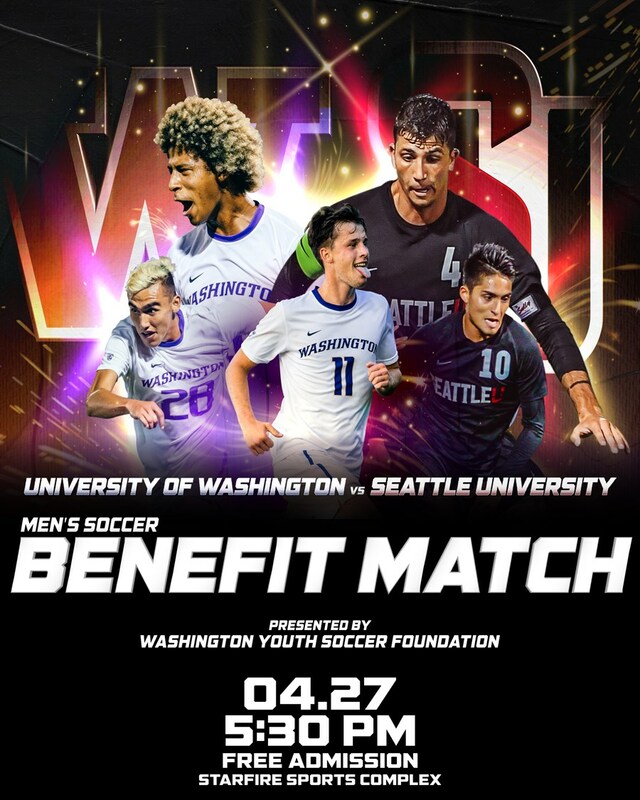 Washington Youth Soccer Foundation is proud to present the spring edition of the University of Washington vs. Seattle University men’s soccer match. The benefit match will be held on April 27th at 5:30pm at Starfire Sports. Admission to the game is FREE, but a donation to Washington Youth Soccer Foundation is encouraged and appreciated! All funds raised will benefit Soccer for Success, a free after-school program, as well as free soccer events across the state for underserved communities. We will have Soccer for Success players escorting the teams in the walkout and a half time raffle you won’t want to miss. If you can't make it to the match but would still like to support the Washington Youth Soccer Foundation, donate here.